I think it’s perfect in its effortless mood and glam attitude. love this story. those pants are incredible! wow i love these trousers there really great ! how long ago did u get them ? Hi! I really really love your fashion sense, and I do hope that you’ll keep on inspiring us all! 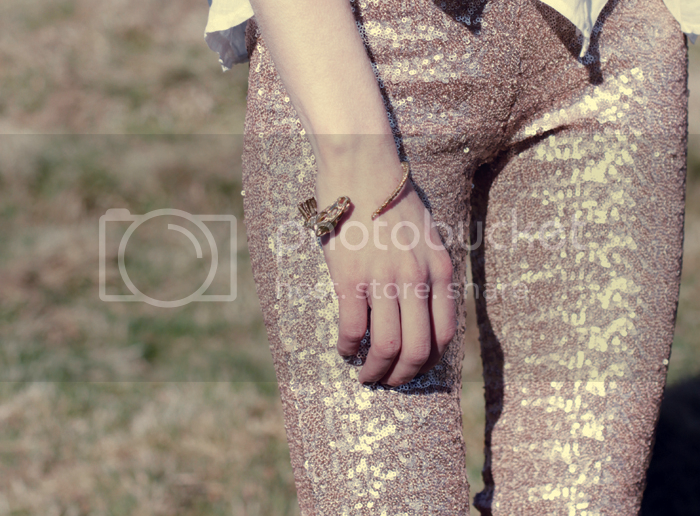 Love the Zara sequined leggings by the way, extravagant! I got them a few weeks ago, last week I still saw the Black sequined leggings in the Zara so some stores might still have them!! you look amazing! great leggings. great boots, love the sequins! Nice pants, you could definitely attract some sunlight sparkle with those! I like it without all the necklaces, the pants are enough on their own. I’ve been wanting a pair of shorts like this. Great outfit, makes me want to pull out my sequined hot pants & find a way to rock them during the day. i really like the zara sequined leggings! simple gorgeous, love how to down played the pants with a white top and boots. You look great. stunning look! I love your sequin leggins and boots! Minimal thought but maximum result! Love it…sequins done right. Pink sequined leggings? I love it! wow. perfect pants. just seriously amazing. i would never have thought to pair them with a statement cuff like yours, but i like them together! I adore this! It’s hard to make sparkles look this effortless. Brava! I adore your legging, it looks awesome! BOOTS. great boots. it’s all about the shoes. those leggings are simply wonderful and I love the combo with that white shirt! LOVE your cuff! x hivennn p.s enter my giveaway? I’m new to your blog and love your style. I just adore the glittery pants here. They just sparkle perfectly under the sun. I am so sorry I hevent visited you for so long! But seems like you still a true vision and this assemble is just wow from the leggings to the small bracelet detail! Oh I loooove these leggings! I am crazy about those sequined leggings, and I think it’s great that you kept the styling really simple. You look so effortless and lovely! love your glitter pant with this leather boots! great outfit! You’re adorable! That’s all I have to say. I LOVE THAT PANTS! ARE THEY FROM THIS SEASON? WOW! Oh wow, those leggings are so beautiful together with that shirt. So spring-ish, I really like it. What a gorgeous effortless outfit. 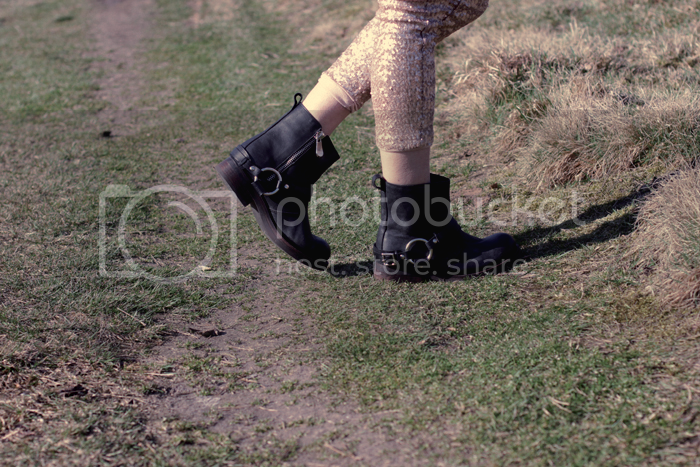 I adore your Jeffrey Campbell boots, I’m searching for somewhere that sells them here in London. just found you via bloglovin and i was amazed. what a fabulous look. the glittered pants are just perfect, love the gold color, but above all, that fabulous cut. how clever to wear it with boots, it makes it a lot edgier. the long blouse is just spectacular and it looks fabulous in the sunshine. It’s so amazing! You are capable to rock any kind of clothes! I cannot think of another person that can look this gorgeous in these pants! Love your style! love those pants!!! they are from another world. Ahh, you bought these pants! Tried them on but they were too tight. You pull them off flawlessly with the white button-down.